A licensed applicator of AirTight Open Cell and Closed Cell Spray Foam Insulation. With local office in Crowley our team is ready to serve you. We pride ourselves in offering the finest insulation products, installation and service in the business. 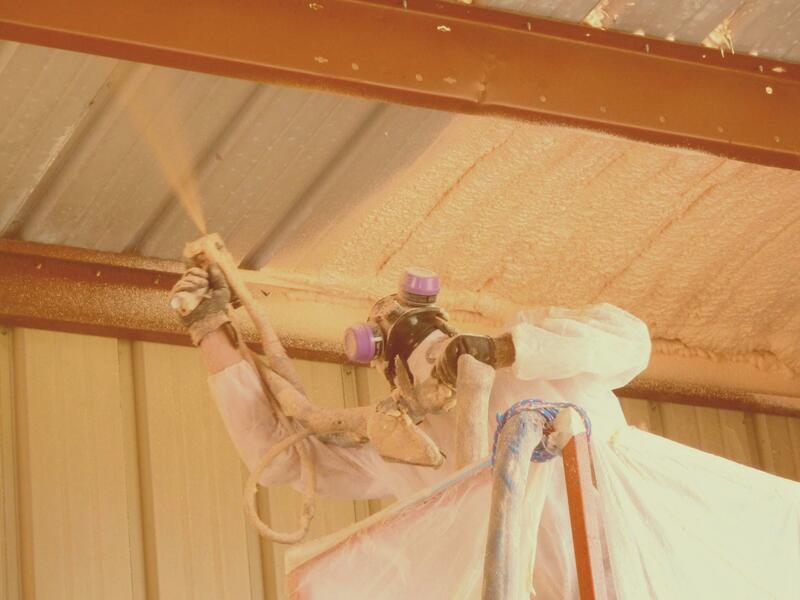 There are two types of materials available in the spray foam insulation industry. Open-cell and closed-cell spray polyurethane foam systems. Energy Shield Insulators offers them both. Every New Construction job Energy Shield Insulators does, comes with an AirTight Air Infiltration Package; which includes caulking of all seams, joints, and penetrations as well as foaming around all windows and doors. Adding insulation is part of almost every home retrofit project. Installing spray foam insulation as a barrier between the home and the outside is one of the most important ways to improve the efficiency of any home. Call us today for a free consultation and estimate on your insulation project! Energy evaluations performed by Mechanical Engineer using proprietary software on 10/28/08. Energy cost savings are estimated not guaranteed and subject to construction and energy cost variables. Larry communicates exceptionally well, in real time. When he says it will happen, it happens. If there is a delay, he lets you know. Moreover, the quality of the work is outstanding. The equipment is top notch and the skill level of the employees is high. These guys work hard and are very professional. They were also the lowest of three bids for my job. I can't say enough good about these guys. Very good customer service, they called back quickly and came early to the job, no waiting around. They made quick work of insulating my attic. I definitely recommend them. My crawl space was actually too small to accommodate the job without extensive labor costs involved. We mutually agreed it was not in my best interest to proceed. The contractor was adamant about not doing the job substandard and gave me other options to consider. The contractor was VERY professional and very knowledgeable about what needed to be done. I would recommend this company to anyone. They are coming back next week to install insulation in my attic. They responded immediately. We set up a time to meet, to physically see the job and get an estimate. They explained different options that would work within my budget. We set up a tentative date. They kept me informed of the progress of their jobs. A few days before they would be able to get to my job, they called me to confirm a time to insulate my ceiling. They arrived at the job site at the time they said they would. They did their job in a very professional manner, despite the 105 degree heat. I was made to inspect their work before they left, to insure that I was pleased with their job. This team is highly recommended!! As for as the job, your crew did a great job and we are very pleased with how it came out. They are very professional and were willing to answer any questions I had. Thank you Larry. You did a great job and we are looking forward to a cooler and more efficient upstairs this summer. You have been so professional about all of this, I appreciate that very much. I so appreciate your help and attention to detail. These guys know what they are doing. The crew has worked together for a number of years and it shows. Their equipment is in good shape and the workers are very courteous and helpful. They are willing to do whatever it takes to ensure that the job goes smoothly. This was my first time using a spray foam insulation as well as the first time using this company. I will use them again in the future for some other projects that I have upcoming. © 2019 Energy Shield Insulators, LLC. All Rights Reserved.